Help Advice: Will this fit my car? Professional SAME DAY Fitting Service Available! Need Help? Visit or Call us today! 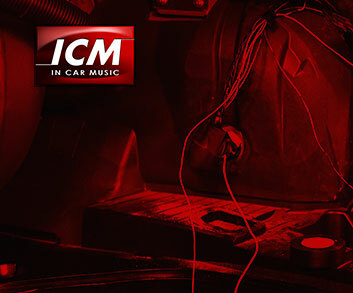 This Car ISO harness adaptor is required when replacing the original car radio with an after-market car stereo without the need to cut any of the existing wiring. In some cases, however, it may be necessary to connect the ignition wire directly to the car fused ignition supply. All products come with a manufacturer’s one year warranty. Goods are not supplied on a trial basis. Check compatibility prior to purchase. This does not affect your statutory rights as a consumer. All Returned items will incur 25% restocking fee plus applicable delivery charges. Special Order items cannot be returned. It is your responsibility to return any such items in a pristine saleable condition in their original box and new packaging. You will be responsible for the return of the goods and any costs incurred for the return. All products supplied carries a 12 months Manufacturer's Warranty. Warranty shall only be accepted for with proof of purchased (receipts). We cannot accept credit card receipts or statements as proof of purchase. Should the product develop a fault within 12 months of your date of purchase please return the goods to us (at your own expense) for repair by an authorized repair centre appointed by the manufacturer. Guarantee does not cover faults caused by accident, neglect, and misuse. Speakers & Subwoofers: Burnt Voicecoils on all speakers/subwoofers are not covered under warranty. This does not affect any statutory rights that you may have. Please note that credit card receipt or statement cannot be used as proof of purchase. This does not affect any statutory rights that you may have. We shall not be held responsible for third party and labour charges incurred, if installation service is not carried by In Car Music.